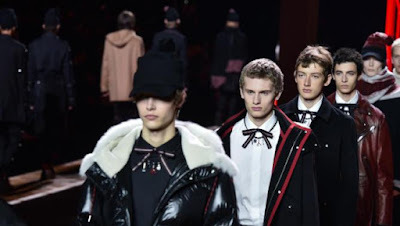 DIOR HOMME 2016 - 2017 FULL FASHION SHOW. This has got to be one of the best Kris Van Assche collections for Dior Homme in years. 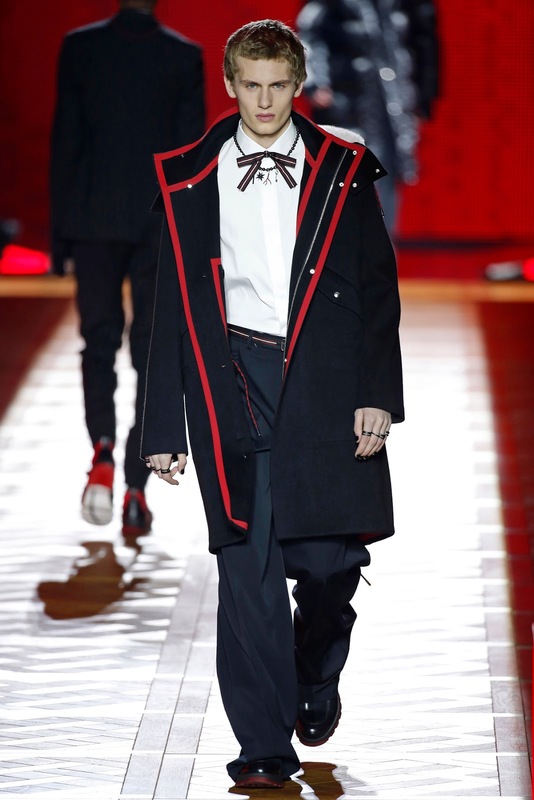 The contrast between black and red, the perfect accessories, the military disciplinary attitude, the black nail polish and even the runway was perfect. Can be talk about the necklaces for a second? Inviting and glamorous, and the black ribbons are definitely the cherry on the cake.